The Quadrato line, immediately follows the launch of the “Cerchio” range of products. It represents the natural geometrical and symbolic evolution of this prime shape. 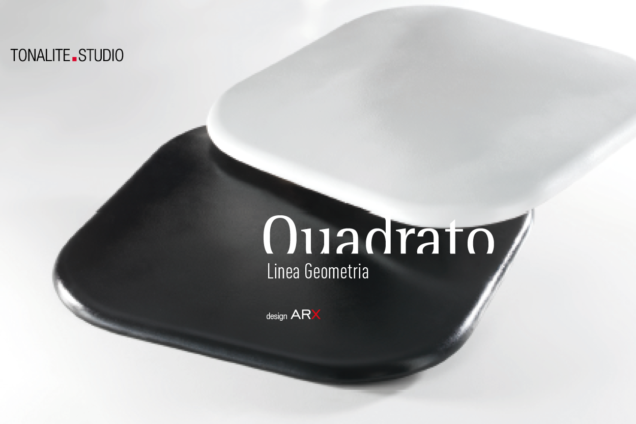 The “Quadrato” (which means “Square”) appears as a new chapter in the Tonalite production line, investigating the “simplicity” of this form as a complex geometrical system. “Quadrato” is the first of a series of compositions in porcelain gres that explore the primitive geometrical forms. Tonalite S.p.A. is constantly researching the expressiveness of ceramics, in which simplicity becomes the vector of an aesthetic research which aims at combining ceramic tradition with contemporary technology, always in transformation and evolution.